New recruit Connor Ronan says he is eager to settle down and play football following his loan move from Wolves. 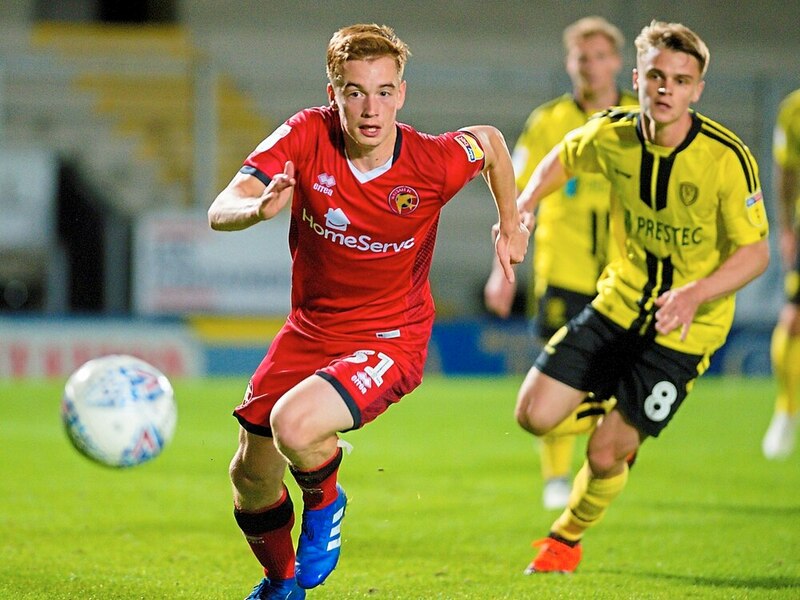 The creative midfielder agreed a temporary switch last week and then played a starring role as the Saddlers beat Burton in the Checkatrade Trophy on Tuesday. Ronan, who made his Wolves debut in 2016, made eight starts and eight substitute appearances while on loan with Portsmouth in League One last season. But the Irishman is determined to feature more for the Saddlers after initially joining them on a deal until January. “The most important thing for a player my age is to be playing football.” Ronan said. “These past couple of seasons I have been a bit in and out, I’ve made an appearance here and an appearance there. “But now I want to settle down with Walsall and try to get into the team, stay in the team and play as much football as possible. “Thankfully Walsall came in for me, which really pleased me with the start they have had. “The manager gave me a call before I joined to let me know how the team plays, what he wants me to do and how I can fit in. Ronan, who is 20 years old, had been tipped to rejoin Pompey this summer. But he feels the experience he had at Fratton Park will now help him at Walsall. “My time at Portsmouth was definitely a good experience for me,” the midfielder continued. “I had never been on loan before. I had been a part of the first team at Wolves but I was always wondering ‘will I be on the bench, will I be in the squad?’. At Portsmouth I kind of knew I would be in the squad. “Whether I was playing every week was a different matter, but it was good to be a part of a first team where I knew I was always in with a chance of playing. 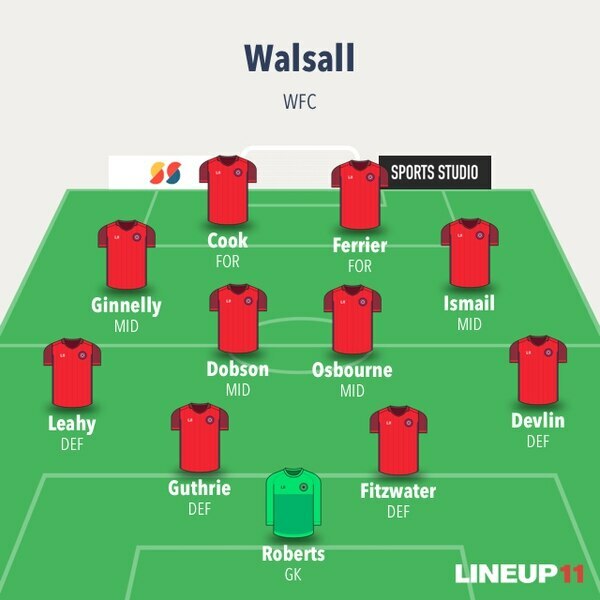 Ronan will now be part of the Walsall squad that takes on Barnsley tomorrow. And he admitted it’s nice to go into the game on the back of 90 minutes against Burton in the Chekatrade Trophy. “The Burton game was a cup game so it kind of gave me a chance to show what I can do,” he added. “If it was in the league, I might not have played but fair play to the manager, he put me straight in the team after one training session. They are the team who broke Saddlers’ hearts when they triumphed in the play-offs back in 2016. 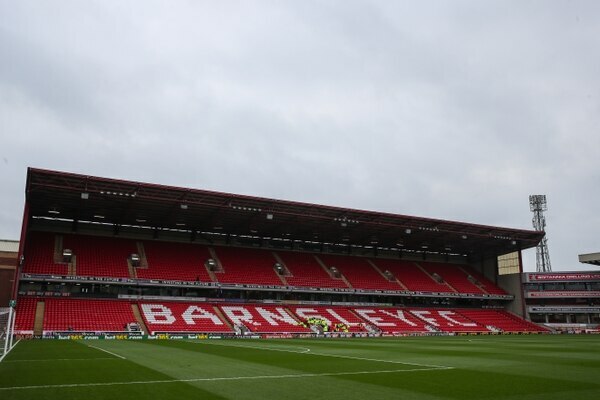 But after two years in the Championship, Barnsley are back in League One. Now under the guidance of German boss Daniel Stendel, the Tykes are odds-on with bookmakers to win promotion again this year. And, like Walsall, they have have made an unbeaten start to the campaign with four wins and two draws from their opening six league matches. Key to that run has been the form of striker Kieffer Moore who has netted six goals in his last three outings. But overall, the Yorkshire side can boast a host of players who have previously starred in English football’s third tier. George Moncur, Lloyd Isgrove, Alex Mowatt and Brad Potts have all enjoyed prior success at the level. Cauley Woodrow, who has been snapped up on loan from Fulham, also looks a shred addition following the departure of ex-Saddler Tom Bradshaw. It’s a team that, understandably, has got fans excited. But there are still question marks over Stendel’s men – with the primary one concerning the boss himself. The 44-year-old previously shone at Hanover and won round the Barnsley board at interview during the summer. But he is still getting to grips with English football and has also inherited a club that has a policy not to sign players over 25 years old. Incredibly, goalkeeper Adam Davies – at 26 – is the oldest member of the Tykes squad. But the Welshman misses tomorrow’s game after being called up for international duty. He will be deputised by Jack Walton between the posts. But also missing tomorrow is Australian Kenny Dougall, who is Barnsley’s only senior holding midfielder and has been one of their best players so far this season. Stendel has got a wealth of options to fill he void. But youngster Jared Bird may get the nod after impressing in the Checkatrade Trophy this week. The 20-year-old is more defensively-minded than his colleagues. And he could then sit alongside Mowatt in Stendel’s favoured 4-4-1-1 system – which sees Moncur utilised in the number 10 role behind Moore. George Dobson. The midfielder’s ability to break up play and launch counter-attacks could prove crucial. Goals from Michael Leary and Kevin James saw Walsall secure a 2-0 FA Cup win against Barnsley in January 2006. We were a bit lacklustre against Blackpool. We made changes for Burton. But everyone I pick is giving their all for the club. One of the most feared strikers in League One, Moore netted 13 goals in 19 outings for Rotherham last year and already has six for Barnsley this campaign. Strong in the air and a good finisher, he’s vital to the Tykes.